Recover faster and parry better with a fully-upgraded Golden Talisman of Protection+. Players adventuring through New Game+ will no doubt be coming across all sorts of new armor and talismans they can purchase and upgrade at Brok or Sindri’s shop, and one which will definitely catch a few eyes is the Golden Talisman of Protection+. This New Game+-only item can be found, and upgraded, within the first few hours of the game. 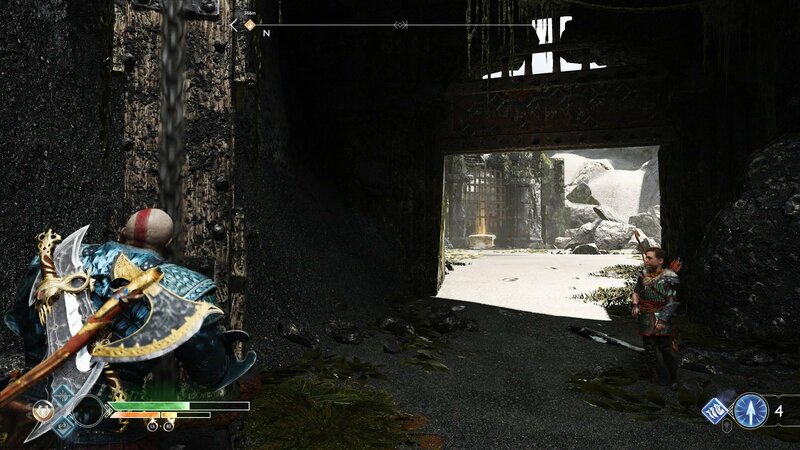 Anyone who’s coming back to God of War to experience New Game+ will likely not remember where they found every item in the game the first time around – which is to be expected. That is to say, the Golden Talisman of Protection+ is located in the same legendary chest as the non-plus version: Stone Falls. The legendary chest can be reached immediately after the water is lowered upon reaching the Lake of Nine and “speaking” with the serpent. Row over to Stone Falls and then walk into the arena, spawning a Revenant and another smaller enemy. Dispatch these monsters and use the Leviathan axe to lower the other half of the bridge. Run over the bridge, lift up the gate, and then exit toward the row boat. Instead of leaving, use the chain to shut the gate, causing the other one inside the arena to open. Leap over the bridge and head back into the arena, going through the gate that was just opened. A little wooden chest and a legendary chest are tucked in this small room. 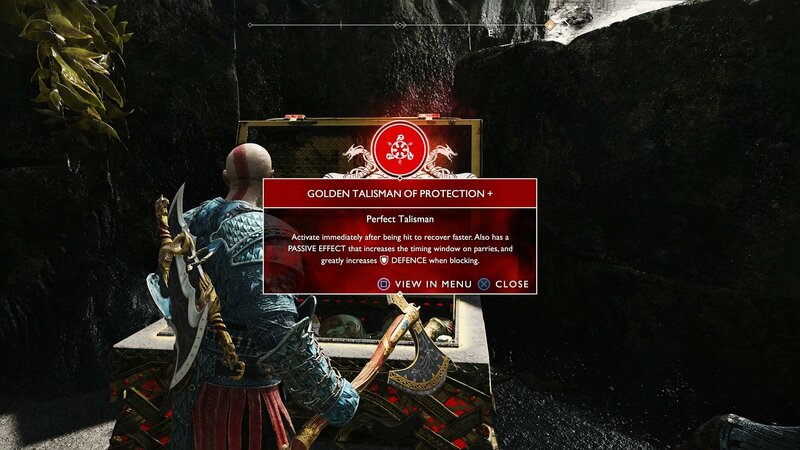 Inside the legendary chest is the Golden Talisman of Protection+, a talisman which when activated after being hit allows Kratos to recover faster. It also has a passive that increases the timing window of parries and greatly increases the defence stat when blocking. This talisman can be upgraded to level 10 using Skap Slag, so take the time to farm up a lot of Skap Slag, because it’s not cheap. While you’re at it, continue through the main story to find the Amulet of Kvasir+, the other Perfect talisman that can be upgraded to level 10. 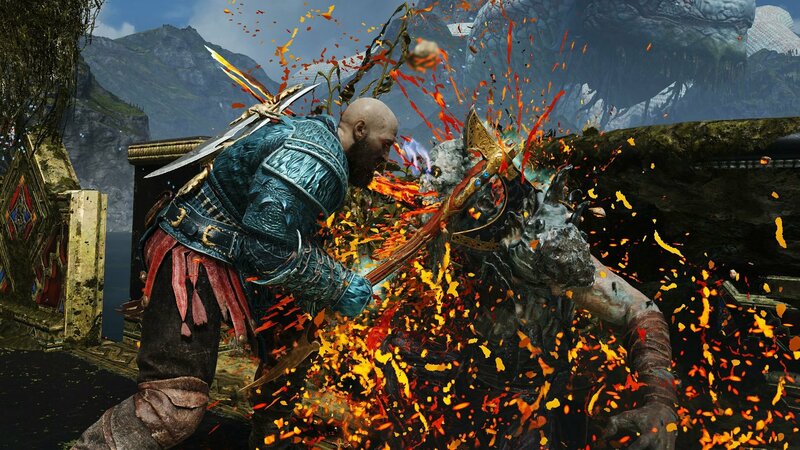 Swing by the Shacknews God of War Guide for more helpful articles on where to find items, resources, and collectibles!